With 470Hp and 410lbs of torque, creating peak Hp is at 6,300 rpm's and peak torque is at 4,700. 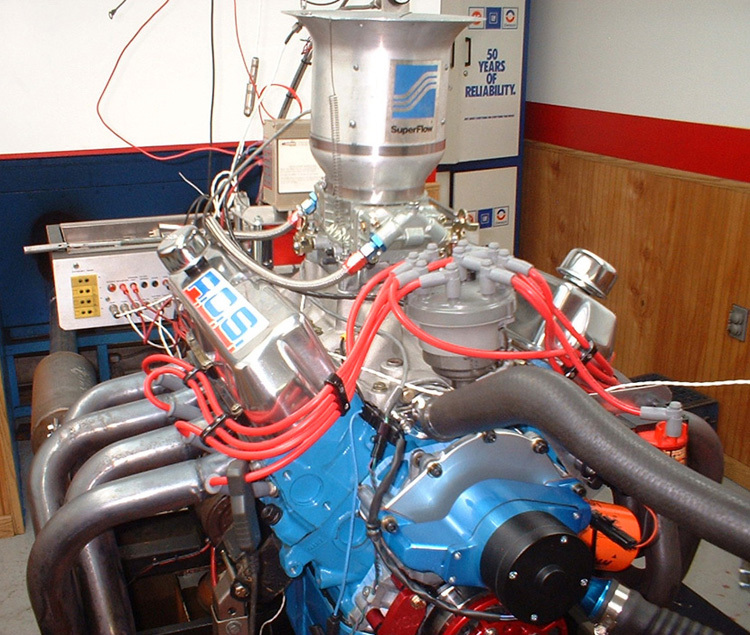 This is great all-around power package for hotrods and streetrods; torque is high maintaining a nice power band finishing up at 6,500 rpms. Idle quality is great at 850 to 950 rpms creating about 10-12 inches of manifold vacuum to run power brakes. In this engine we installed a special hydraulic roller camshaft designed to move air with .650 lift and the use of Jessel shaft rockers. The compression ratio is 10.5 -1 requiring the use of 93 octane fuels. In this engine combo we used a dual plane intake manifold with a reworked plenum keeping small runners but taking advantage of the open plenum design we created for maximum cylinder fill creating 115%VE through the power curve. 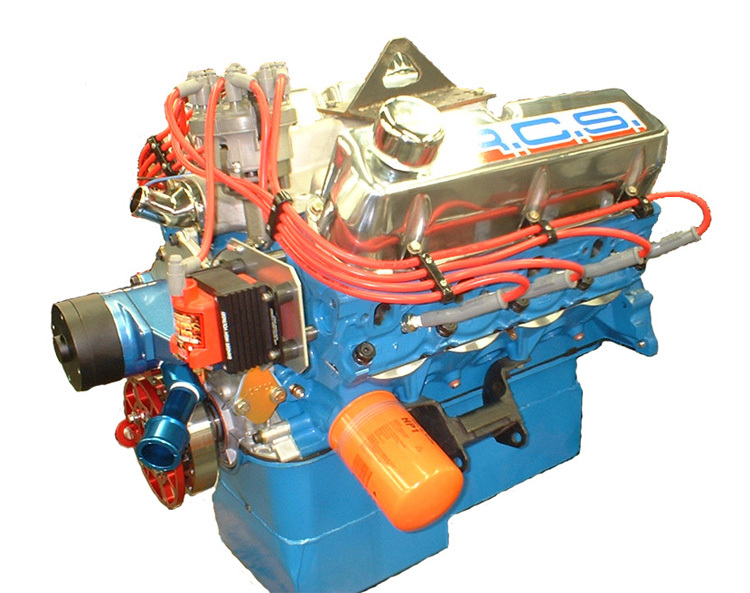 This engine uses CNC ported steel OEM heads that flow 250cfms with a port volume of 143cc. We believe in using ever cfm of air an engine can generate through the induction system only requiring 1.21 cfm of air per horse power developed.